Casting is an important procedure in metalworking in which liquid metal is poured into a mold that features a hollow cavity of the desired shape. The metal is then allowed to cool and harden, forming what is known as a cast. The cast is removed (or broken) out of the frame to finish the procedure. These procedures occur in foundries. However, due to the type of work and setting, the metal casting industry frequently contaminates the environment. Casting operations release odor-causing compounds, as well as volatile organic compounds (VOCs), and particulate matter. Odors produced by foundries in populated areas frequently result in an increased number of problems and complaints. Foundry waste, which is given precedence within the global foundry industry from both an environmental perspective and in terms of economics. Hazardous Air Pollutants (HAPS) include gases, which are produced when frames with carbon materials are exposed to high temperatures (for example, when the cast metals are poured). Dangerous emissions produced by casting melting and production are fundamentally linked to the use of additives, fuels or impurities in raw materials. The use of coke or oil may lead to the release of the product of burning. The use of additives during production creates a reaction. The occurrence of impurities in waste that blends via melting may lead to the development of a product with incomplete combustion or a recombination and dust. How Can zNose Reduce or Eliminate Harmful Emissions? To minimize or eliminate such complaints, foundries require innovative technologies that offer on-site measurement and monitoring in real time. 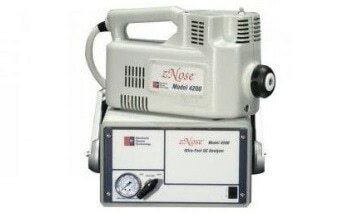 Electronic Sensor Technology Inc.’s zNose® is a moveable instrument that can split and quantify the concentration of distinct chemicals within any odor or chemical vapor in only 10 seconds. The performance of the zNose® has been proven at a commercial scale operating foundry. The aim of this display was to measure and quantify the source of chemical odors created on-site (within the foundry) and to record the concentration of odors within a community situated next to the foundry. During one day of testing, more than 125 measurements were carried out onsite. zNose® is a promising tool for detection and analysis of foundry odors. Applying a battery powered remote sampler to gather and concentrate environmental samples in the surrounding community, ppt and a lower sensitivity - in near real time - was shown. As the measurements are based on gas chromatography, independent laboratory testing can be applied to confirm findings. On-site real time measurements allow foundry operators to react to changing emission levels and quantitatively and objectively gauge the impact of these odors might have within the nearby community. This helps to keep a control of destructive odors for the communities surrounding them developing an overall safer environment.